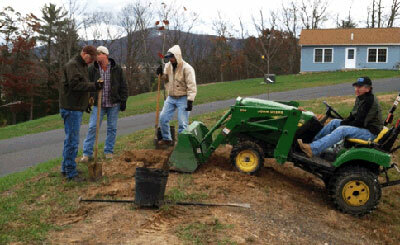 On October 31st, 2012, the Grant County Housing Authority (GCHA) planting 12 shade trees at the Woodland Terrace Housing Development in Petersburg, West Virginia. The weather was cool and windy, and due to some weather delays, some of the volunteers from Petersburg High School were not able to participate. 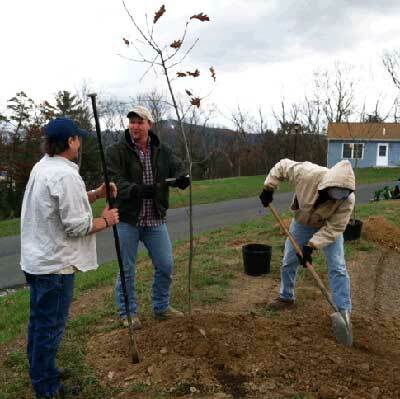 However, the quality of the project and the enthusiasm of the volunteers enticed several local residents to set aside their plans and assist with the tree planting. A total of 8 volunteers assisted with this planting. 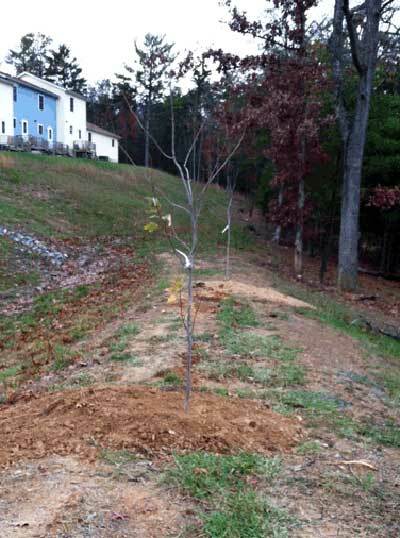 Ten of the trees were planted along the lip of the storm water management pond on the property. 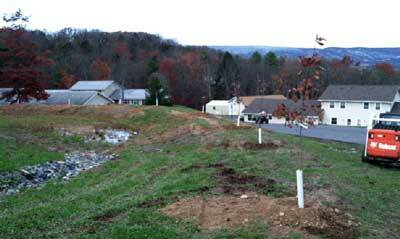 The remaining 2 trees were placed along the adjacent roadside. 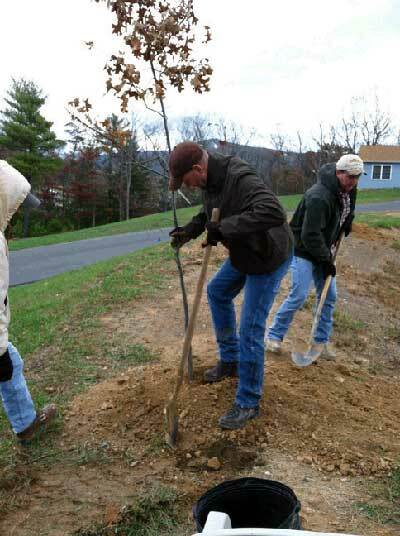 The trees were staked, tubed, and watered and a commemorative WV Project CommuniTree sign was installed.